Today is one of those days when I have a hard time staying in my office. The sky is clear, the air is fresh and the Winterthur Garden is lovely. Hope you’ll take some time this weekend to enjoy the garden as it rolls into summer. On my way to the visitor center this morning, I stopped by the plant shop to see what plant Ed Stevenson chose as his “plant pick of the week.” It’s a dahlia, Dahlia ‘Claudette’. Ed chose it because it has few disease problems, it continues to flower for a long time and the cut flowers are long-lasting. Every plant has a disadvantage; Ed reports these, at 20″ height, the cut flower stems are a bit short and dahlia tubers must be taken in for the winter. After checking out the great plants (by the way, many are 25 or 50% off now! ), I stopped at the post office to mail a letter. 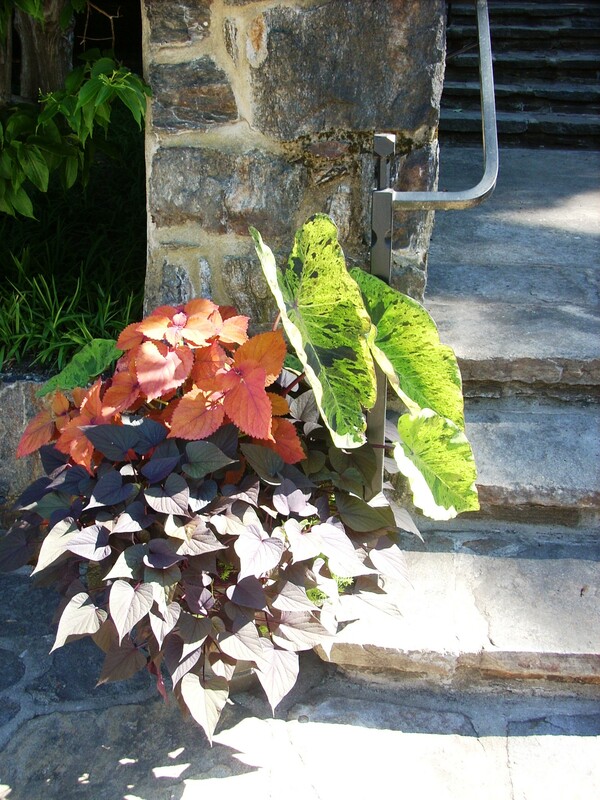 As I reached the stone staircase, I noted the wonderful container planting of Colocasia illustris, Coleus ‘Sedona’, Ipomoea ‘Black Heart’ and Sedum ‘Angelina’. 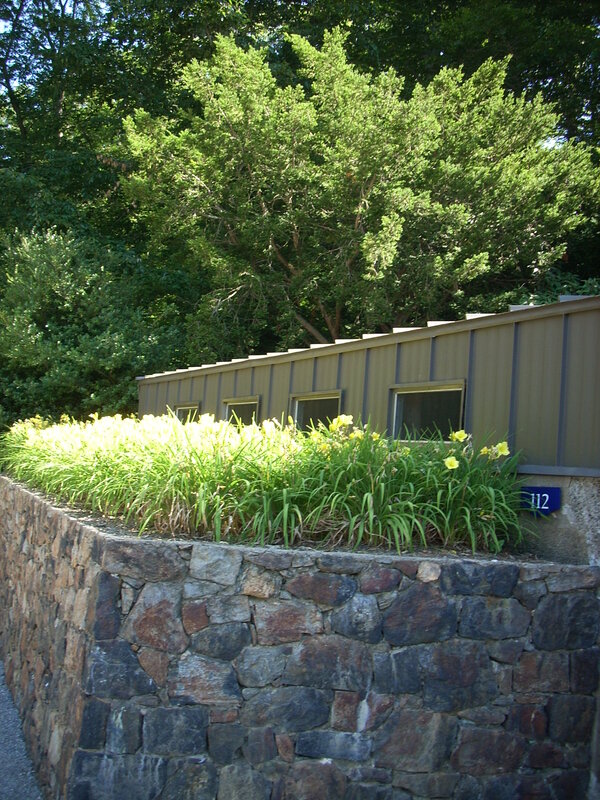 Then past the greenhouses to admire the stunning bright yellow day lilies above the stone wall. 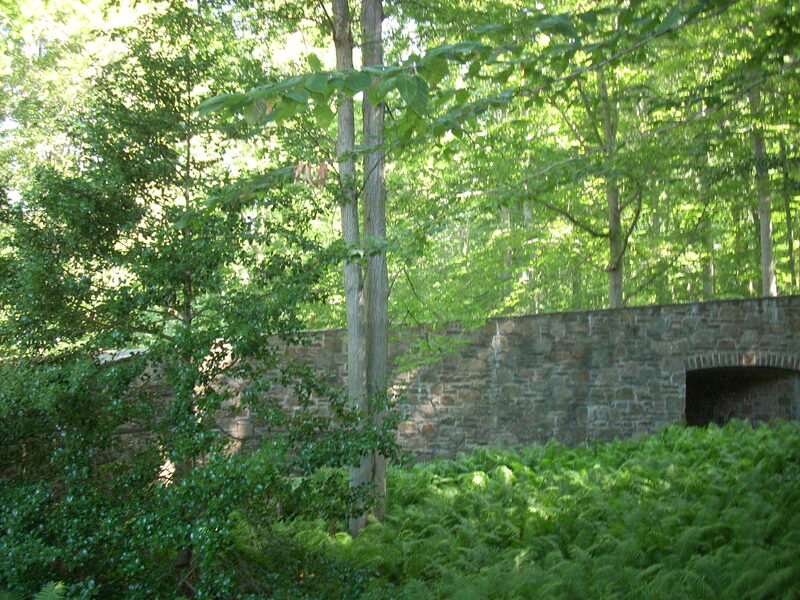 From that sunny bright spot, I turned the corner into a shady glen filled with lush ferns. What a place to work and play!